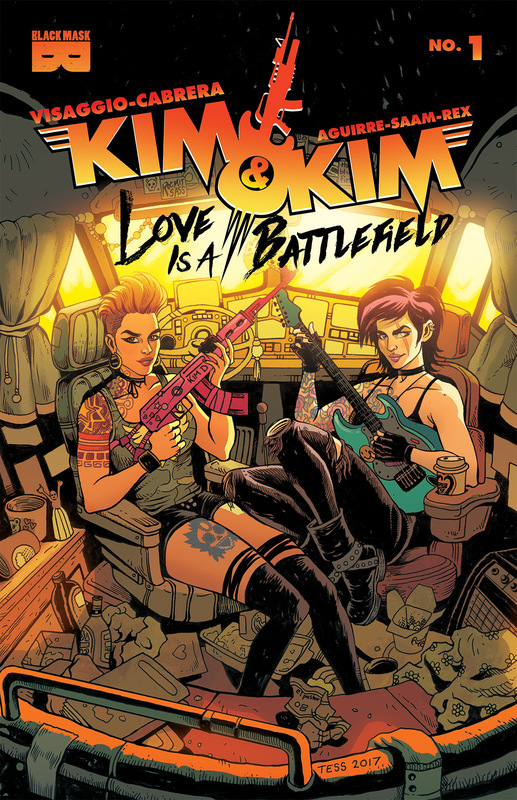 Kim & Kim, the GLAAD award and Eisner award nominated title from Black Mask Studios, will unleash their next volume in July with Kim & Kim: Love is a Battlefield. 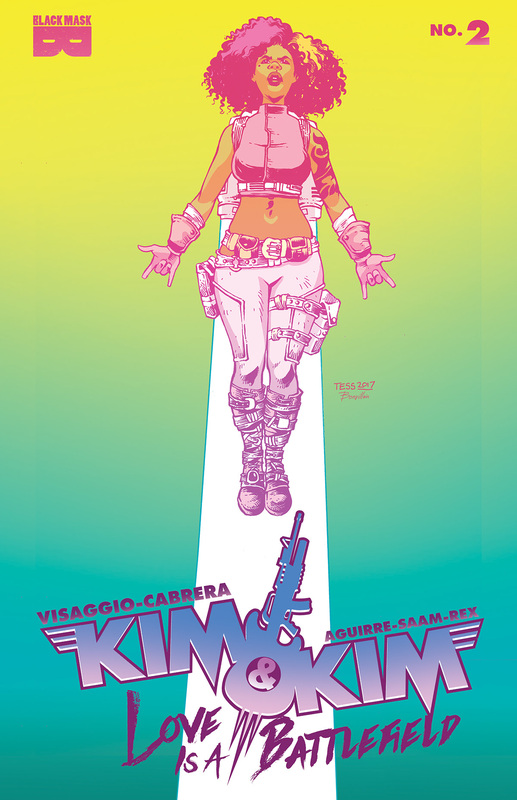 The original creative team of Magdalene Visaggio, Eva Cabrera and Claudia Aguirre are back together with our Kims. According to the original press release which you can find below, the story takes place 3 years after volume 1 as our Kims continue to do their best to collect bounties and get the money they need to enjoy their wonder life style of clothes, drinks and whatever food they can have. 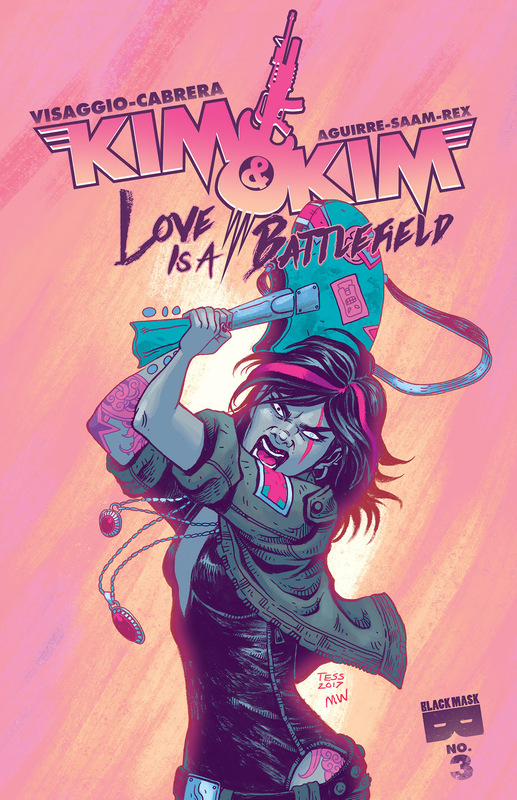 Kim & Kim: Love is a Battlefield #1 will hit shelves next week on July 5th, 2017. The indie breakout hit storms back into comic shops the week of Independence Day, arriving July 5th! 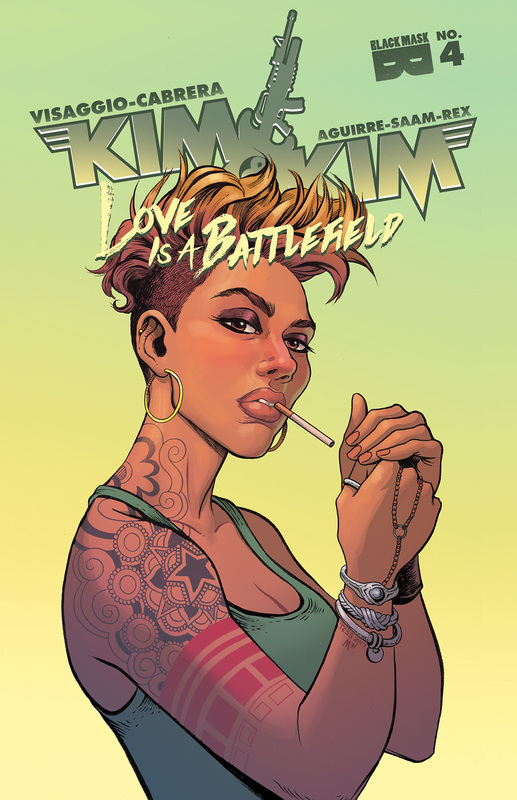 Fresh on the heels of their back-to-back 2017 Eisner Award and GLAAD Award nominations for the 2016 smash KIM & KIM: This Glamorous, High-Flying Rock Star Life, the entire original Kim & Kim creative team is BACK to bring you Black Mask’s next great adventure with KIM & KIM: Love Is A Battlefield. The original creative team of writer Magdalene Visaggio, illustrator Eva Cabrera, and colorist Claudia Aguirre have crafted an all-new adventure that is sure to draw in new readers, channeling the glitter and glory we love from Kim & Kim volume 1 into a smart, heartfelt adventure about young queer love, dysfunctional families, and unbreakable friendship.